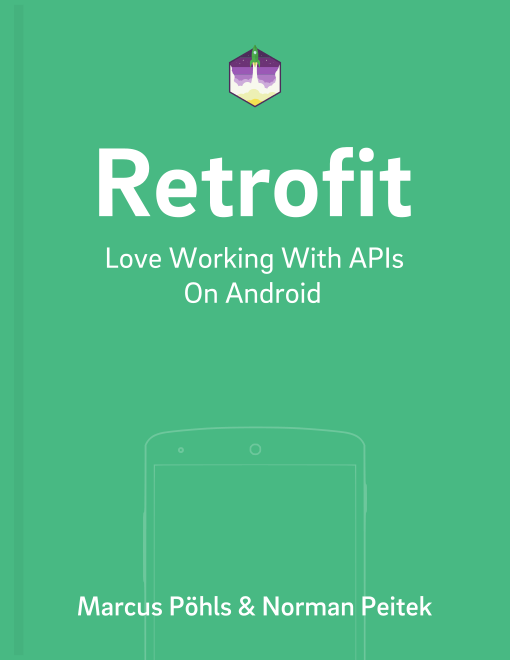 In the past few days and weeks we've shown you a lot of details on how to work with Retrofit 2. In this and the next blog post we'll show you a significant component of Retrofit: converters. In order to make the communication work between the Android client and the server, they need to agree on a common data representation format. Over the years developers have introduced various formats with each their own purpose, advantages and disadvantages. What all formats have in common is that you need to map Java objects into the standard format. In Retrofit 2, this task of mapping between Java objects and the standard format is done by converters. Converters can support two directions here: from Java object to standard format (requests) and vice versa: from the standard format to Java objects (responses). Retrofit is open and allows other converters. For example, we’ll look into developing our own custom converter in a future blog post. Of course, you can provide your converter to the developer community and expand the list of available converters. One excellent third-party library is this converter, which adds support for the Logan Square JSON serialization library. While Retrofit makes it very easy to support multiple data formats, there are a few things you need to keep in mind in order to preserve everything working. Retrofit accepts various structured data formats by outsourcing the conversion of those to independent converters. These converters usually only have one specific purpose. For example, Gson deals with the JSON format, while SimpleXML transforms XML data. Retrofit makes it easy by allowing the developer to call addConverterFactory() on the Retrofit builder multiple times. As long as the converters are conflict free, e.g. Gson vs. SimpleXML, there won’t be any issues. But what happens if you add two converters, which do more or less the same job, e.g. Moshi vs. Gson? Retrofit has a simple way of dealing with this issue. First of all, it checks with every converter if it’s able to deal with this specific data type. If the passed converter cannot understand some data, it won’t be considered for the request (but will be asked again for the next request). The order of checks is done by first-come first-serve. That means the first converter you pass to Retrofit with addConverterFactory() will be checked first. If the first converter accepts the challenge, the rest of the list will not be asked. Effectively, this means that you need to be very careful when adding the converters! Make sure you **specify the special-purpose converters with limited abilities first and general converters (like Gson) last. In this blog post, you've learned what Retrofit uses converters for mapping data for various standard formats to and from Java objects. You've also seen an overview of all provided standard converters. Finally, you understand how to deal with multiple formats. In the next blog post, we'll go deeper into the JSON converter and show you how to customize the Gson mapping. Still Have Questions? Get Our Retrofit Book! All modern Android apps need to do network requests. Retrofit offers you an extremely convenient way of creating and managing network requests. From asynchronous execution on a background thread, to automatic conversion of server responses to Java objects, Retrofit does almost everything for you. Once you've a deep understanding of Retrofit, writing complex requests (e.g., OAuth authentication) will be done in a few minutes. Invest time to fully understand Retrofit's principles. It'll pay off multiple times in the future! Our book offers you a fast and easy way to get a full overview over Retrofit. You'll learn how to create effective REST clients on Android in every detail. Boost your productivity and enjoy working with complex APIs.